Did you know Latest Deals gives you Amazon vouchers? If you sign up as a member (free) and add deals to the site, you get Amazon vouchers. You don't want to miss out. We give hundreds of vouchers every month. All you have to do is share deals you find on our site. If you're familiar with other deal websites, it works in the same way. However, we are the only deal hunting community that gives you rewards like this. How do I get Amazon vouchers? Members of Latest Deals (50,000+ and counting) earn Amazon vouchers for contributing to the website. 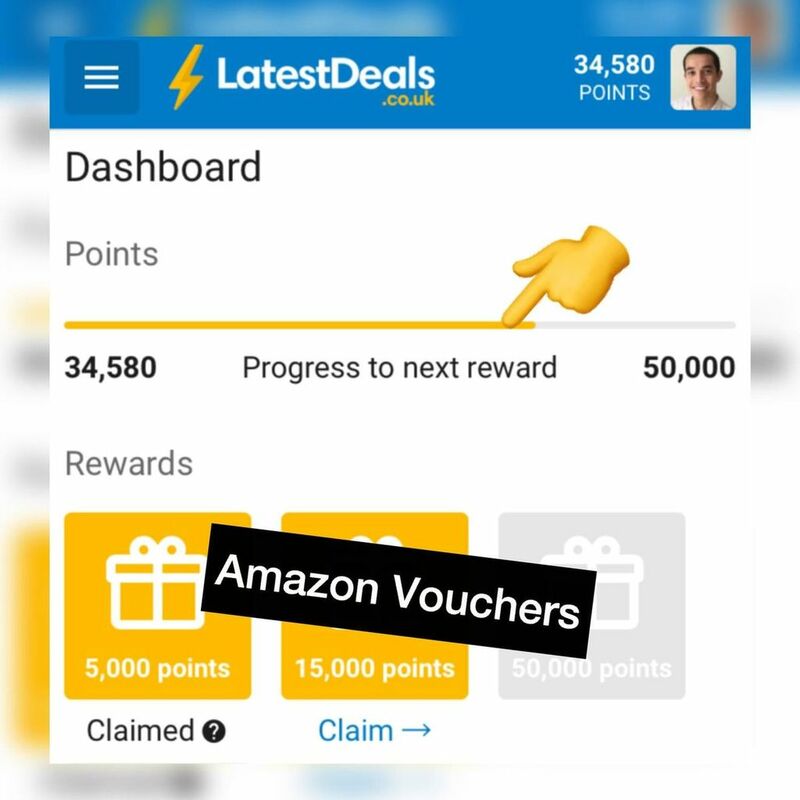 If you add a deal, voucher code, freebie or competition, you earn points. These points add up to Amazon vouchers. How long does it take to earn the vouchers? On average it takes 5 days to earn your first Amazon voucher. This is if you come back every day and post approximately 10 things a day. Some people achieve it much faster because you also get rewarded for other things too. Simply voting on deals (if you like them or not), commenting, marking things as expired and other actions all help you earn Amazon vouchers. Latest Deals is the UK's second biggest deal hunting community. But we are the only site to offer this reward. We think giving back is very important to creating a constructive and positive community. At the time of writing, Latest Deals has over 50,000+ members. Over 1,000+ deals are posted every week, all of which earn the members points that add up to Amazon vouchers. You can spend these vouchers of whatever you like. Just find a deal online and plonk the URL on our website. That's it! You can share the URL here. May I ask what happens after you reach the maximum 100000?